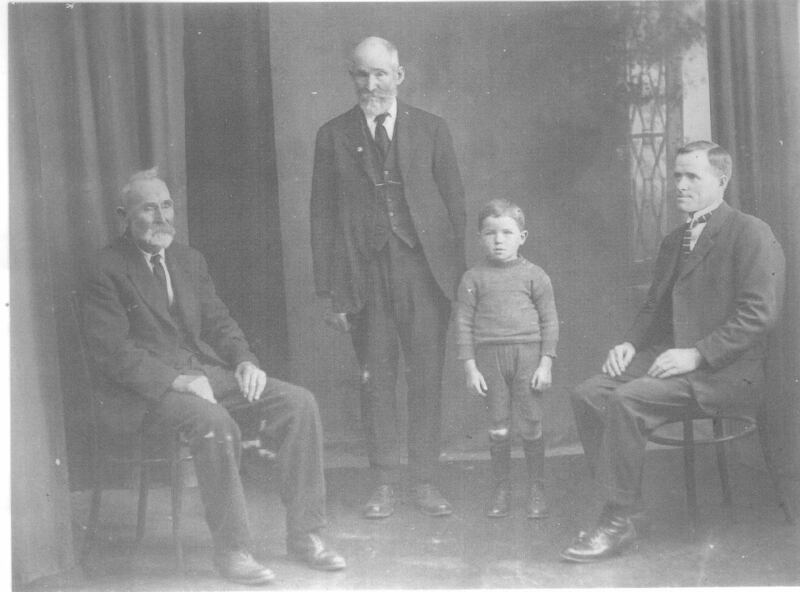 William Carter, William Butler (jnr), Albert (Bertie) Butler, George Thomas Butler. Photo taken about 1925. 4 generations. Photo from the collection of the late Jean Jamieson. Part of the Butler collection.